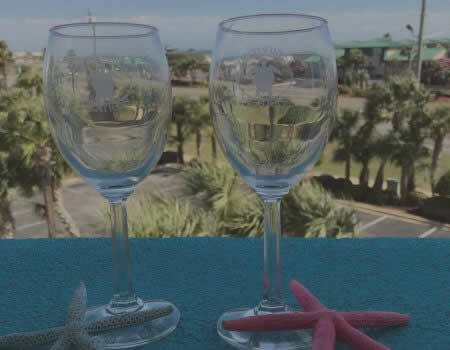 Book your Destin vacation rental through Destin West Vacations to experience the best service and amenities in the area. Our combination of spacious vacation rentals, resort amenities and gorgeous location makes us a favorite place to stay for families, business travelers, groups and couples. Whether you choose to stay in a beachfront condo with views of the Gulf of Mexico or a bayfront unit overlooking the beauty of Choctawhatchee Bay and our tropical pool oasis, you'll leave your Destin vacation refreshed. An elevated walkway crossing Highway 98 makes exploring the property safe and simple. Plus, enjoy access to the pools, bars, and restaurants located at the Island. Discover the beauty of the Emerald Coast! Situated on Okaloosa Island with choice views of Choctawhatchee Bay and the Gulf of Mexico, Destin West Vacations puts all of the area's best attractions only minutes away from your vacation home. Whether you like to spend your days fishing in the bay or swimming in the emerald green waters of the gulf, fun in the sun is only a short walk away. Our resort has something for everyone — from a lazy river and seven pools to a fitness center and beach rental service. We offer worry-free maintenance and housekeeping within minutes all year around. We strive to create happy memories for our guests and foster long-term relationships with our owners. We grant access for you and your guests to The Island and other amenities.